The EV-9628-28 Replacement cartridge kit is for Everpure High Flow CSR Quad-MC-2 Systems. 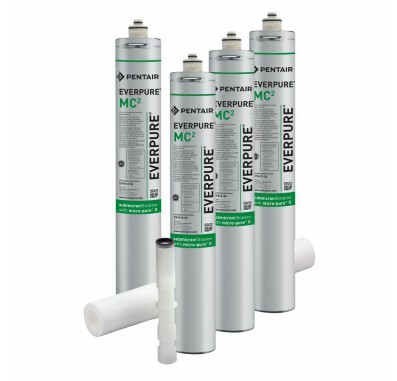 The Everpure Quad-MC-2 Cartridge Kit includes (1) EC210 Prefilter, (4) MC-2 filter cartridges, and (1) SS-IMF with spacer. 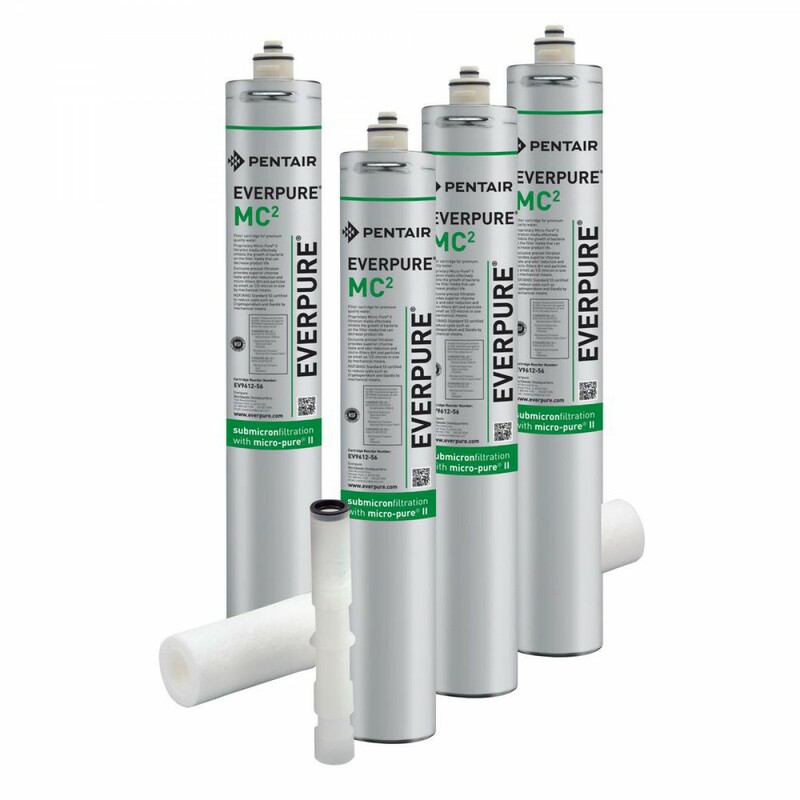 The Everpure Quad-MC-2 convenient replacement cartridge kit contains all necessary cartridges to service filters in specific High Flow CSR Quad combination systems. The Everpure Quad-MC-2 reduces chlorine taste and odor and other offensive contaminants that can adversely affect the taste of beverages. The Quad-MC-2 cartridge kit features new and improved Micro-Pure II media with AgION antimicrobial protection which inhibits any potential bacterial growth. Precoat submicron technology reduces dirt and particles as small as 1/2 micron in size and reduces possible health contaminants such as asbestos fibers and cryptosporidium and giardia cysts. The 20-inch Prefilter cartridge captures larger dirt particles and extends the life of the MC-2 cartridges. The SS-IMF cartridge inhibits limescale buildup in ice machines and coffee brewers. Change cartridges on a regular 6 month preventative maintenance program.